Sunday July 11, 1954: In the opener of a doubleheader‚ at the Polo Grounds, Leo Durocher's first place New York Giants (57-26) pounded Fred Haney's last place Pittsburgh Pirates (26-55) 13-7. 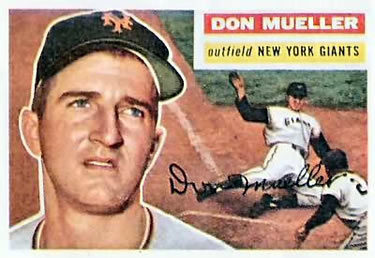 Giants right fielder Don Mueller wasted no time, in the 1st inning he collected a double to drive home Whitey Lockman for a 1-0 lead. In the 2nd, Monte Irvin lead off with a HR, his 16th of the year. Later Wes Westrum singled. 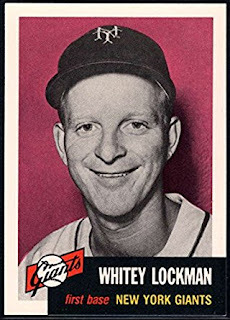 Whitey Lockman then connected for a two run HR, his 13th of the year. Alvin Dark then followed with a back to back HR, his 10th of the year, making it 5-0 Giants. In the 3rd, Hank Thompson lead off with a HR. 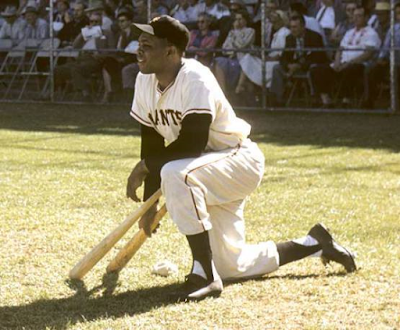 Willie Mays singled and after Monte Irvin grounded out, Davey Williams was hit by a pitch. Westrum then singled bringing in a run. Pitcher Sal Maglie bunted & reached base safely. Next, Whitey Lockman's sac fly brought in another run. Al Dark then singled bringing in Westrum putting two men on base. Don Mueller then tripled to right field, bringing in two more run making it an 11-1 ball game. In the 4th Willie Mays hit his 31st HR of the season making it 12-3. Mays on his way to the 1954 MVP Award, would also hit 41 HRs. On this day he raised his average to .331, he would win the batting title that year at .345. In the 7th, Mueller completed his big day with a solo HR. Don Mueller had a huge day for himself, hitting for the cycle. All in all Mueller went 4-5 with four RBIs and a run scored. Sal Maglie would earn his 9th win of the year and Marv Grissom his 11th save. 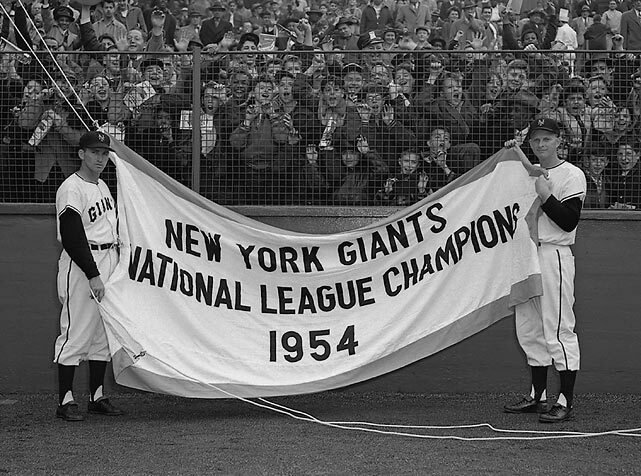 The Giants increased their lead to 5 ½ games over the Brooklyn Dodgers in the NL. Pittsburgh took the second game of the double header that day.